Methylphenidate is a Central Nervous System (CNS) stimulant. This means it will make you more active. As per CDC, it’s the most common drug used to treat Attention Deficit Hyperactivity Disorder (ADHD). It is also prescribed to treat Narcolepsy. It works by increasing the activity of dopamine and noradrenaline. These are in the areas of the human brain that controls attention and behavior. What are the forms of Dosage for Methylphenidate? What to Tell Your Doctor Before Taking Methylphenidate? 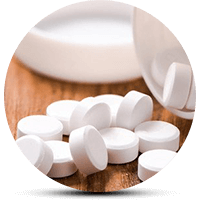 Before taking Methylphenidate, consult a healthcare practitioner. This way, you can make sure that it is safe for you to use. Your doctor will let you know if you can continue to start using the medicine. Otherwise, they may alter your prescription in some way. Problems with intestines, esophagus or stomach. Always keep in mind that you have to tell your doctor if you are pregnant or breastfeeding. You can buy almost any medication online on the right websites. In fact, you can even use some discount codes when you order your medicine. Remember to be safe and check out at least three websites before ordering your medicine. Allergic reactions such as hives. First, they include the swelling of your lips, tongue, throat, lips or face. Then, you might have difficulty breathing. Uneven, fast or pounding heartbeat. Extreme dizziness – so bad that you feel you might pass out. Restlessness, aggression, unusual behavior, muscle twitches, aggression. Very dangerous high blood pressure. This will cause a severe headache and buzzing in your ears. They might also include blurred vision, chest pain, and confusion. Otherwise, uneven heartbeat, anxiety, shortness of breath, or seizure may also happen. Presently, they have highlighted the potential for abuse throughout the research literature. Therefore, they serve as a warning that abuse may occur. In fact, more than 16% of college students in the USA have used Methylphenidates for fun. This is according to some research. Using these medications in any other way than how the doctor prescribed it, will cause a person to get high. People abuse this drug in many ways. First, they can swallow more tablets than prescribed. Then, they can crush/ground to turn into powder form, which people usually snort. Other people will dissolve the tablets in water. Then, they will inject this mixture intravenous. Strangely enough, when one snorts it, the drug has a similar effect on the brain like that of cocaine. However, you can get these drugs legally. Decreased performance at school or work. This seems strange. It is because a lot of college students use Methylphenidates to enhance concentration. For example, they might use Ritalin. However, in the long run, addiction will decrease performance. Withdrawal from family and friends. As a result, this drug becomes the number one thing in their life. It might also be an attempt to hide the addiction. The compulsion to seek the drug. Abusers might consult many different doctors to get prescriptions. Financial hardship. Drugs cost money. Therefore, to sustain a habit, a Methylphenidate abuser might fall into financial hardship. Profound mood changes. For one, when the dopamine levels cheanges, so is the mood. Another reason for these mood changes is the side effects and withdrawal. Currently, Methylphenidate is relatively easy to get. However, outpatient rehab isn’t always the best option to break the cycle of abuse. Inpatient rehab gives patients more structured environments, removing their access to the drug. The rehabilitation process will begin with detox. This is a process where the patient stops using the drug abruptly. After, the doctor will carefully track the withdrawal symptoms. After the detox, patients will begin with therapy. Individual therapy will help the patient get to the root of the addiction. Meanwhile, group sessions may also be useful. Usually, this will help the patient relate to others that have been in a similar situation. Aftercare is very important when it comes to addiction rehab. There are many support groups and sober living facilities out there. They will help people overcome addictions while getting their lives back on track.